SOUTH East Elders’ Council has promised to support President Muhammadu Buhari in the 2019 presidential election if he decides to run again, arguing that the All Progressives Congress, APC, controlled government had done well in fighting corruption and the dreaded Boko Haram insurgency. 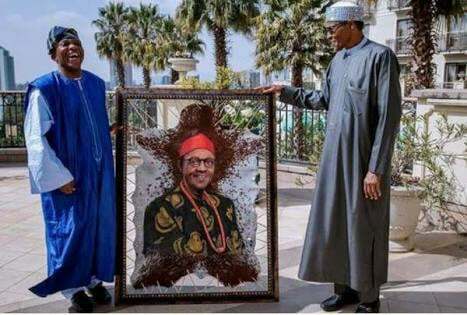 Chairman of the forum and former President General of the apex Igbo socio -cultural organization, Ohanaeze Ndigbo, Dr Dozie Ikedife told reporters yesterday at Nnewi that South East leaders took the decision at their meeting in Enugu. Ikedife, however, said it was not yet clear if President Buhari would contest again, adding that he would not be drafted for the position when he had not indicated any interest. He said: “There are so many factors to be taken into consideration while talking about Buhari for the second tenure. You have to know whether the man wants to go for a second tenure before you begin to support him. If he does not indicate any interest, then what is the purpose of supporting him? “Are you going to draft him into the position? And you should know that between now and 2019 is a long time in political calendar because a lot of things can still happen. There is this saying that man proposes, but God disposes. But left with us, if he wants to run, let him go ahead.